Anyone with young children will know that going out for lunch can often be more of a trial than a treat. Trying to restrain a toddler in a highchair for any longer than the time it takes to eat a bowl of icecream is often a challenge. 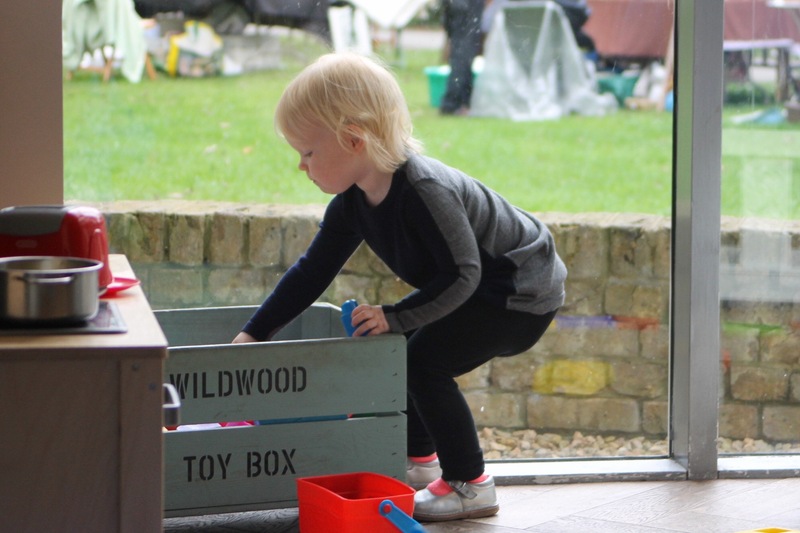 Which is why the Wildwood Kitchen in Barnes is such a great option for families: it has a designated children's play area! The kiddies can enjoy exploring the various toys on offer while the grown-ups enjoy five minutes peace at the nearby tables. Situated right on Barnes Green near the duck pond, The Wildwood Kitchen is perfectly placed to pop into after a weekend wander. We decided to stop by one Saturday lunchtime after looking around the collectors' market. Despite being a big restaurant, it was quite busy and lots of the tables were full - it is obviously a popular choice for lunch. The Mediterranean inspired menu is divided up into starters, pasta & risotto dishes, stone based pizzas, grills & seafood, salads and sides. 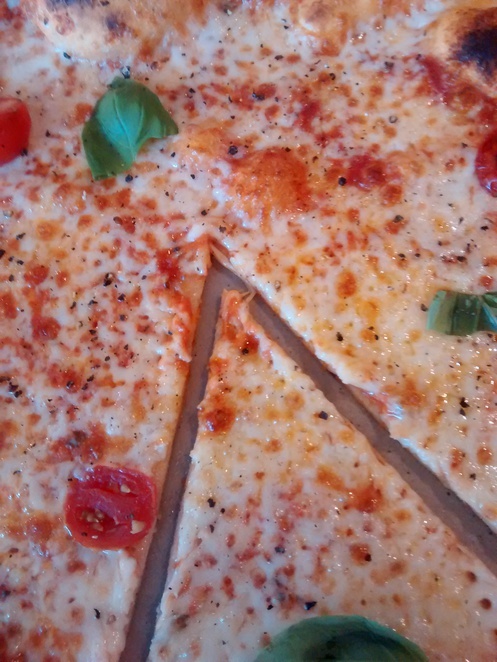 Examples include this classic margherita for a very reasonable 6.95. There is also a kids' two-course menu for 4.95 that has options of pizza, pasta, chicken or sausages, followed by icecream or jelly. And if you don't have children in tow, there are plenty of tables located far enough away from the play area that you won't be disturbed by other people's kids. Part of a small chain, the Wildwood Kitchen has a very relaxed atmosphere and the staff are friendly and helpful. The restaurant is located very near to Barnes and Barnes Bridge railway stations, plus buses towards Hammersmith stop nearby. 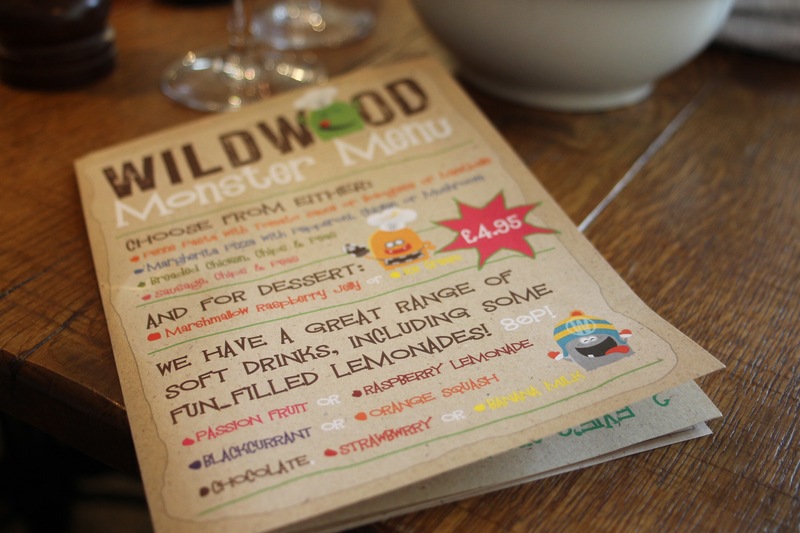 For more information about the Wildwood Kitchen check out their website, or find them on Facebook or Twitter.